Cablecomm offer true multi-room TV where you can watch all channels independently of each other and at no extra charge. 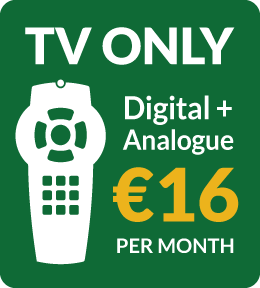 Discounted for customers paying by Direct Debit – € 16 per month. Or the following payment in advance in our office in cash at the start of the month.